It seems like just yesterday that we were all freaking out about Y2K and here we are in 2018. Crazy?! In the design world, it is the time of year that various news/design sources list the trends of the upcoming year. While I am not a trend forecaster, I do have some things I would love to see more of.....and some things that I really hope are left behind. Below are my top 5 of each. Disclaimer: These are my own personal opinions and if you love or have one of these trends that I am not a fan of in your home, please do not take it personally! We all have our own styles and I respect them all. I still love you and hope you still love me! 1. Macrame: With boho being super trendy right now, it seems that Macrame is EVERYWHERE. Heck, I can find cool ones at Home Goods for $12.99. Just do a quick google search of "macrame" and hit the shopping tab and you will find every style imaginable. 2. The Fiddlehead Fig Tree: I purchased my first fig tree about 6 years ago before they were readily available. I had my sister buy it from someone on Craigslist in Chicago and transport it to Indy for me (She hates me because of my CL needs). Since then, they are at every store: local nurseries, Lowes, Home Depot, and even Costco! Yes, they add a beautiful touch of green and life to any space but these plants are ridiculously finicky and are ubiquitous. Instead of the fiddle, why not try a beautiful olive tree or gingko tree? I truly hope the fiddle has dropped its last leaf in 2017. 4. "Shiplap" aka Wood Paneling: I know, I know. Joanna Gaines is the darling of HGTV (FYI-Most HGTV shows actually have ghost designers and the "talent" isn't necessarily the one designing what you see.) 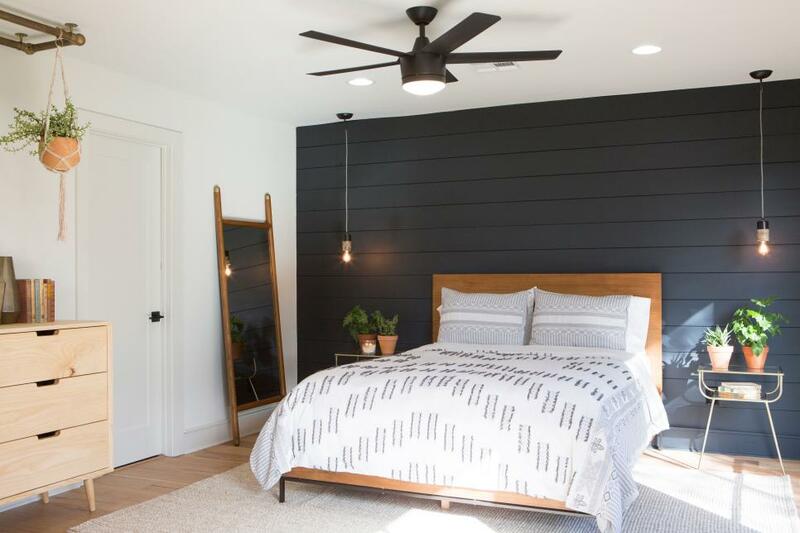 Shiplap has taken over the design world along with the Modern Farmhouse design trend. Other than the color/material, shiplap might as well be wood paneling from the 70s. 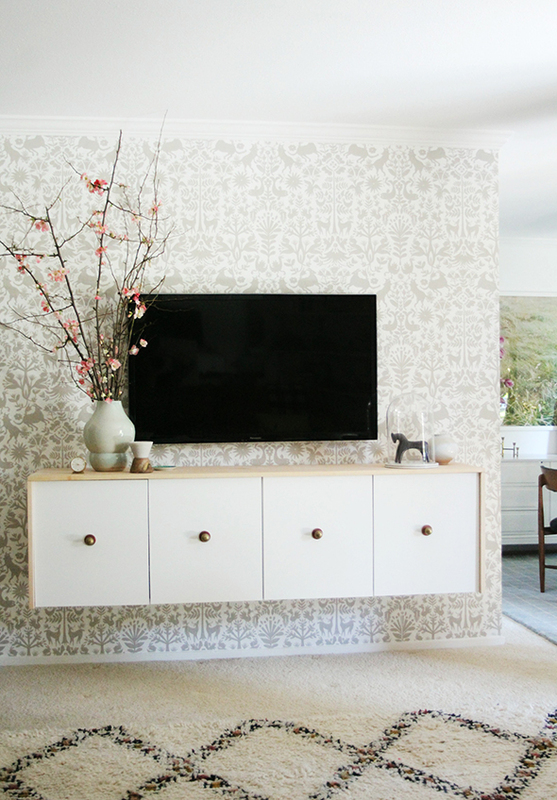 Heck-did you know they even make shiplap wallpaper?! While I am all about bringing in texture and warmth to a room with wood, I definitely prefer the use of wall moulding. There are endless options and it can be customized so your space is unique. 5. Open Shelving in Kitchens-This one may lose me some followers but please hear me out! It seems that every major kitchen remodel that the social media world is obsessing over does not have upper cabinets. It looks sleek and clean but WHERE ON EARTH DID YOU PUT ALL YOUR STUFF? Storage, in my opinion, is one of the most essential parts of a functional kitchen. Instead of eliminating all your uppers, add a small area of open shelving for a coffee area or to display cookbooks. 1. Textures (example: Wood, Concrete) There was a time I was very anti-wood. Well, wood that looked like wood. I was once in the school of "give me all that painted wood furniture and MDF". The warmth that both wood and concrete can bring into a space...well, it just gives me goosebumps. Both of these materials can add color and texture to a space without the use of paint. Their ability to elevate the design of a room from pedestrian to professional is amazing. 2. Antiques and Vintage Items: Like most people, I am guilty of walking into Target and buying all the new items of whatever collection has just launched. They are cute and affordable and it's so easy to have that quick shopping fix. However, I have banned myself from doing this. They end up sitting in a closet and I just waste my money. I still pick up the occasional items (I like target for staples like vases, trays, frames, etc.) Most of my favorite items are vintage though and I hope to see more of these types of items in homes in the upcoming year. 3. Branches/Stems in lieu of traditional flowers-I am currently OBSESSED with branches. I am a wee bit over orchids and peonies right now...sorrrrrrry. The sculptural element that branches can add to a room can take your design from blah to wow! Some suggestions: Olive branches, eucalyptus (they have so many varieties), magnolia branches, and so on. Don't overlook what you have in your own yard either! 4. Textiles-I once read an interview with Shea McGee of McGee and Co. about how she felt textiles (aka fabric) is one of the areas to splurge in a room. At the time, I did not agree but now, I am totally on board. In 2018, I hope to see more use of beautiful fabrics whether printed or solids, mixed patterns, and lush textures. These can be incorporated with throw pillows, drapery, bedding, upholstery, or anywhere else you like. My neutral loving heart is even feeling adding some jewel tones in velvet. 5. DIY-Is there really an original idea anymore? Very few, if you ask me! While it is easy to buy something, the satisfaction of making your own can be incredibly rewarding. There is inspiration everywhere you look. Why not make your own home decor and personalize it for your space? Not only will you have a budget friendly piece of decor, when someone asks where you got it you can say "I made it!". The below black beads are an affordable DIY that will be posted on the blog this year. 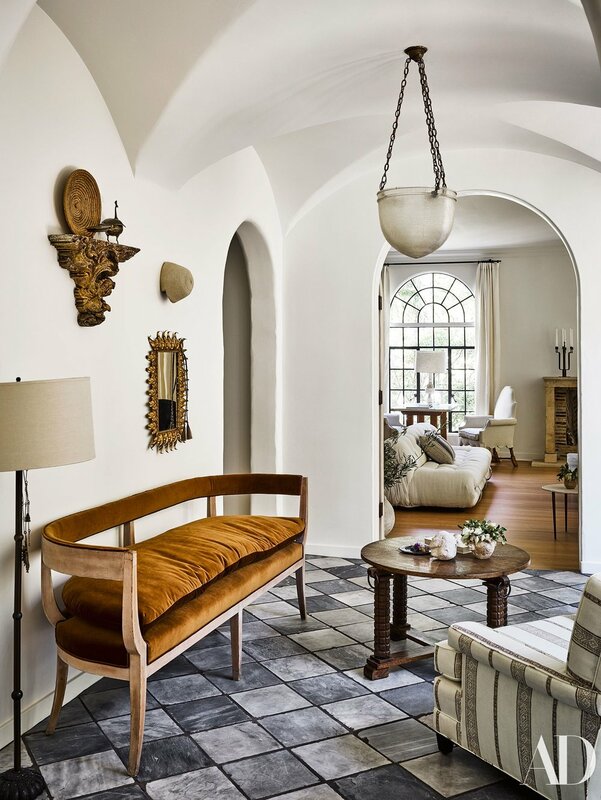 Honorable Mentions: Dark/Moody Walls, Brass, Mixed Metals, Wallpaper, Sculptural Elements, Organic/Natural Items (examples: geodes, driftwood, faux fur), Oversized plants (not the Fiddle, though! ), Rattan or other natural materials, and more Black. So there you have it! Hopefully this short list gave you some food for thought as you plan your designs for 2018. I would love to hear from you! What are some trends that you are digging and what do you find to be soooooo 2017?